As world leaders head into the final days of climate talks in Cancun, it is time to put to right a misperception that for too long has shackled our approach to this vital issue. The error is simply this: Taking action is a burden some nations will need to shoulder for the good of the world – rather than the single best action each nation can take to further its own long-term interests. The question by governments of “What’s in it for me?” has up to now been a major stumbling block to international agreement. But if leaders and their administrations truly understood the underlying resource dynamics, they would have the exact opposite approach. They would see it is in their self-interest to act quickly and aggressively, whatever the actions taken by their global neighbors. In fact, each country’s own actions will become more urgent and valuable the less others do. Why would it be in any individual country’s interest to address a problem whose costs are ultimately born by all of humanity? Consider the nature of the carbon problem. Climate change, first and foremost, is a consequence of high fossil fuel dependence. Even though climate change is a global problem, the fossil fuel dependence that contributes to it carries growing economic risks for the emitting country. Working our way out of this addiction takes time, and the longer we wait to radically rethink and retool our societies, the less chance we will have to alter course. But there is another important piece of the picture beyond fossil fuel. Climate change is not an issue in isolation, but rather, a symptom of a broader challenge: humanity’s systematic overuse of the planet’s finite resources. Our natural systems can only generate a finite amount of raw materials (fish, trees, crops, etc.) and absorb a finite amount of waste (such as carbon dioxide emissions). Global Footprint Network quantifies this rate of output through a measure called biocapacity. Biocapacity is as measurable as GDP – and, ultimately, far more significant, as access to basic living resources underlies every economic activity a society can undertake. Up to now, we have treated biocapacity as an essentially limitless flow, to the point that our demand for nature’s services now outstrips biocapacity by 50 percent, according to Global Footprint Network’s latest research . This approach has been an integral part of the climate crisis, as with every hectare of forest we clear for raw materials, built-up land or other land-uses (such as grazing or cropland), we reduce the Earth’s ability to absorb CO2 and regulate climate. Ecological trends suggest, however that we will soon be facing another crunch: biocapacity. Consider this: No matter which way the future goes, whether we avoid climate disaster or we continue with business as usual, increasing consumption, population and CO2 emission, the pressure on biocapacity will escalate— and having access to biocapacity will earn ever higher premiums. The US President, European heads of state and other G-20 leaders have affirmed the need to stay within a 2º Celsius climate alteration (at a minimum) to avoid widespread calamity. Some climate models point to a 350 ppm limit for CO2 in the atmosphere in order to achieve this – less than the carbon concentration we have today. Yet even if we aim for the more conservative target of 450 ppm, this would call for shifting out of fossil fuel, and a wholesale restructuring of the way we produce and use energy. But hardly anybody admits this mathematical truth. Even with significant development of wind and solar power technologies, if we want to have the amount and ease of choice around energy availability we have enjoyed up to now, we will need to rely to some extent on fuels from biological sources. Add to that the resources needed to provide for a growing population, a swelling middle class, and the two billion alive today who lack enough to meet basic needs. It is clear, even with a strong climate accord, biocapacity will be under pressure as never before. And what if we don’t succeed in heading off climate change? Biocapacity will become even more vulnerable and, in all likelihood, subject to staggering declines. With crops failing and drought widespread, the failure of an international cooperation will set a poor stage for negotiating the distribution of dwindling resources. Those countries whose economies depend most on access to massive amounts of resources – especially resources from abroad – will find themselves particularly vulnerable. In a world facing a biocapacity crunch, the winning economic strategies will be preserving biocapacity on the one hand, and reducing demand for it on the other. And here’s a bit of good news: those also happen to be leading strategies for minimizing climate change. Many believe the race to develop green technology – what columnist Thomas Friedman has dubbed the “Earth Race”— will bring the spoils of the future to the early movers and adopters, and secure innovative nations and enterprises with positions of advantage on the global stage. This is the carrot pushing green innovation. But there is an even more powerful stick. Those countries and cities trapped in energy- and resource-intensive infrastructure will not be able to adapt in time to meet the emerging resource constraints. In the face of a failure to reach agreement at Cancun, individual countries will have to do more to curb their resource demand in order to assure their long-term stability and security. The lack of agreement won’t give us a break from taking action—on the contrary, it will force us to work significantly harder. If our leaders understood this, the discussion at global climate talks would take an entirely new direction. As Cancun draws to a close, we are not calling on leaders simply to do what’s needed for the good of other nations. Rather, we are asking them to come to the table mindful of what they must do to responsibly serve their own. Professor Angus Maddison died last April at the age of 83 leaving a legacy stretching back – oh – at least one thousand years. British-born Angus Maddison taught at the University of Groningen in the Netherlands; his speciality, no his obsession, was economic growth. He produced a 60–year stream of papers, graphs and books, attempting to pin down the history of this thing which is central to the way we think about our world. When the numbers ran out, he would look for other evidence of the growth rate: wills, or lists of the membership of different religions in 16th century Japan. Like most interesting things, growth is both very complex and very straightforward. For example take the pace of global economic growth over the past 1,000 years. It is pretty flat in the 10th 11th and 12th centuries, stretching out to the 17th century. And then – so the experts say – growth suddenly leaps skywards. Water power, steam, then oil ushered in a huge increase in human productivity – and economic growth – first in the Western hemisphere and Japan, now newly underpinned by Asia, India and even Africa. Now what is the main component of growth? Transport, you might think, as railways, began to redefine whole countries, followed by roads. But the historian Niall Ferguson points out that the activity that becomes the most significant component of developing growth wherever it happens is textiles. Released from agricultural drudgery into the urban cash using environment, people seem to want clothes … and then more and more of them. Fashion is a great driver of economic activity. In a way that is not really surprising. Consumers – a new group of people invented by the industrial revolution – soon buy most of the semi-permanent goods they required. They are satisfied. But there is no limit to the apparent lust for shoes and tights at many points in the income scale. The fashion industry soon finds new ways manipulating those appetites. And clothes are made with cheap labour, so wave after wave of industrial revolution in country by country begins with the loom and the sewing machine. Relating to all this, I’ve been asking a simple question: Why is economic growth still regarded as a central human purpose, desired by politicians, vital to companies, craved for by individuals? Why is growth “good” and no growth “bad”? After a crisis, how can we heap such hope on revived economic growth when we know that that is what got us into the mess in the first place? How can growth be the norm when we know that nothing goes on forever? Yes of course we hear from the environmentalist economists who argue for a new sort of system that severely limits our need for carbon and other raw materials. But it is the canny author and Financial Times columnist John Kay whose words have a lot of resonance for me, as he deftly disposes of the idea that Gross Domestic Product or its sibling Gross National Product really matter – or are measurable. John Kay says there is certainly one thing that continues to grow, and that is human ingenuity. It is certainly a resource without readily comprehensible limits. Of course, human ingenuity may need other more finite resources in order to implement its ideas. But it is nice to know that thinking still matters … and that (in spite of the heroic efforts of Angus Maddison) nobody really knows how to measure it. 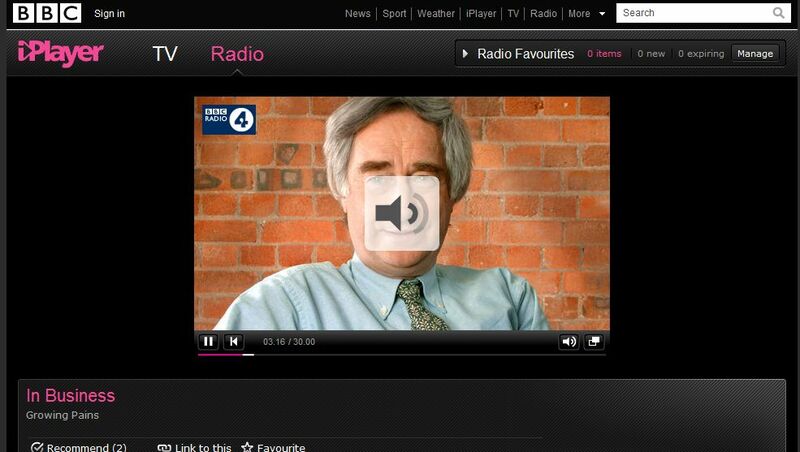 This commentary is complemented by a 30 minute audio podcast that can be found in BBC´s IPlayer section at http://www.bbc.co.uk/iplayer/episode/b00w228b/In_Business_Growing_Pains/ . It featues well known figures such as Andrew Simms from the New Economics Foundation, Prof. Tim Jackson (author of Prosperity without Gowth) and others. The Board of the United States Society for Ecological Economics (USSEE) cordially invites you to submit an abstract for an individual poster, paper presentation, or complete session proposal to our 6th biennial conference, entitled “Building a Green Economy.” The conference will be held at Michigan State University in East Lansing, Michigan, June 26-29, 2011 (see https://www.msu.edu/~ussee). Abstracts (200 words maximum) for sessions, individual papers, workshops, or other contributions should be submitted online via the Abstract Submission Form, between December 1, 2010 and the deadline date of January 31, 2011. Please share this information widely with colleagues and other interested parties. We look forward to seeing you in East Lansing in 2011! Jon Erickson is a professor and managing director of the Gund Institute for Ecological Economics at the University of Vermont. And he’s president of the U.S. Society for Ecological Economics. “Ecological economics has a different vision of the economy than traditional economics,” Erickson says. “We fundamentally feel like the economy is supported, sustained and contained by ecosystems. Erickson says there’s a real lack of a connection between the health and wealth of the economy and the maintenance of the ecosystem in traditional economics. “Economics as it’s taught in many places is really devoid of a sense that there’s an environment that we extract resources and inputs and energy from and there’s an environment that we put waste back in to. “It really is taught in most programs that economics is a system in and of itself, and if the environment is anywhere it’s simply a sector of the economy. We really try to turn that on its head,” says Erickson. The traditional approach to the economics of the environment is really focused on efficiency – how do we efficiently manage the resource that we’re extracting and using in the economy, according to Erickson. A second goal of ecological economics is the equity question: who shares in the benefits and burdens of economic cooperation, says Erickson. Ecological economics embraces a trans-disciplinary approach to problem solving. “It’s a blurring of the lines between disciplines,” says Erickson. “We feel like that at universities there are disciplines, but in the world there are problems. And the problems don’t fit neatly in these boxes we’ve created on campuses. The USSEE’s biennial conference highlighting the latest research and education initiatives in ecological economics will bring together an interdisciplinary group of academics and practitioners to analyze society’s most pressing social and environmental problems and design solutions for a sustainable future. The conference will be held at MSU June 26 – 29, 2011. Click here to hear Erickson’s October 22 Greening of the Great Lakes conversation with Kirk Heinze. Greening of the Great Lakes airs every Friday evening at 7 on News/Talk 760 WJR. Scientific papers published in refereed journals or in books that have undergone review, are published in the Beijer E-print Series in order to facilitate the dissemination of research results. These E-prints might earlier have appeared as Discussion Papers. 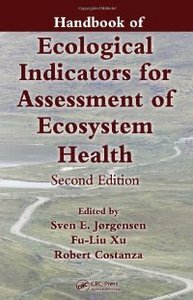 Continuing in the tradition of its bestselling predecessor, the Handbook of Ecological Indicators for Assessment of Ecosystem Health, Second Edition brings together world-class editors and contributors who have been at the forefront of ecosystem health assessment research for decades, to provide a sound approach to environmental management and sustainable development. Significantly updated and expanded, this authoritative resource details a proven framework for selecting, evaluating, and validating ecological indicators for ecosystem health assessment. It guides readers through the application of this framework to a wide range of ecosystems, including wetlands, estuaries, coastal zones, lakes, forests, marine ecosystems, lagoons, agricultural systems, landscapes, and rivers. The text synthesizes material from a variety of books, journals, and private research, to consider biodiversity, energy needs, ecological economics, and natural capital in the measurement of ecological health. Organized for ease of reference, the first part of the handbook provides the required theoretical background. It presents a complete overview of all relevant ecological indicators—including thermodynamics, resilience estimates, exergy, and emergy indicators. The second part focuses on how to effectively apply the ecological indicators to a number of important ecosystems. It includes many examples and case studies that clearly illustrate the advantages and disadvantages of each method for specific applications. Offering first-hand insight and practical guidance from practitioners in the field, this complete resource supplies the tools and the well-rounded understanding required to diagnose the health of virtually any ecosystem with much improved accuracy. Declining world oil supply, widening income gaps and over-exploitation of global fisheries were just some of the bad news Jon Erickson delivered in his talk at MSU this past Monday. But Erickson’s lecture, “An Ecological Economics for the Century of the Environment,” wasn’t actually about an impending doomsday. Erickson, who is a professor and managing director with the Gund Institute for Ecological Economics at the University of Vermont, emphasized how ecological economics can help save the planet. He also announced an opportunity for the MSU community to become involved in this discussion. Studying economics through an ecological perspective is a return to amore holistic look at economic development where an economy’s sustainability is considered in relation to the dependent ecosystem. This means a forest is valued not just for its timber, but for all its ecosystem services, such as carbon storage, recreation, and pollination. Erickson is critical of theories that characterize the economy as a closed system in which goods and services are simply exchanged between producers and consumers. For Erickson, these theories are insufficient because they do not consider the economy’s dependence on the environment as a source of raw materials and as a sink for pollution. “Where’s the environment and where’s the waste,” he asks. While these questions may seem more related to philosophy than economics, Erickson is confident in this new approach. As president of the U.S. Society of Ecological Economics (USSEE), he will be leading a larger discussion of this topic at MSU on June 26-29, 2011 when the USSEE hosts its sixth annual biennial conference, “Building a Green Economy,” in East Lansing. “Michigan was chosen as the conference site because it is a kind of backdrop to the national dialog on the need for transition to a new economy that is not only environmentally sustainable, but…also socially just and equitable,” said Robby Richardson, an assistant professor in the Department of Community Agriculture, Recreation and Resource Studies and an ESPP affiliate. Richardson is the conference chairperson and arranged for Erickson to speak. “The MSU community is already engaged in the design and delivery of curricula, research, and outreach programs that are interdisciplinary and innovative, and I am delighted that we are able to host this conference at MSU,” he said. Written by Liz Pacheco (pachec18@msu.edu), News Writer for Environmental Science and Policy Program.